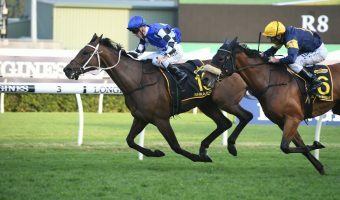 Speedy sprinter Runson looks to get back to winning ways this Saturday as Leon and Troy Corstens’ six-year old contests the $1 million Winterbottom Stakes (1200) at Ascot in Perth. 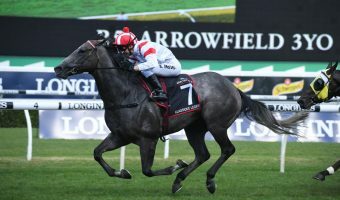 Out of Delzao, Runson has already enjoyed a strong prep this Spring winning back-to-back starts at Cranbourne and Moonee Valley before finishing third in the Group 2 Linlithgow Stakes (1200m) at Flemington last month. Runson, above, looks to become the third Group 1 winner for trainers Leon and Troy Corstens. Photo Credit: Ultimate Racing Photos. 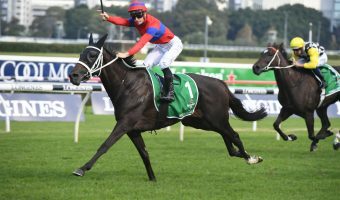 Trainer Troy Corstens said that Runson has settled in nicely after making the trip to Perth, and also feels his horse has made improvements following a successful campaign in Melbourne. “Terrific run there, obviously to break the track record at Moonee Valley was a big feather in his cap, he’s done a lot better this preparation so we’re very proud of him” Corstens told Sky Racing on Wednesday. Runson has drawn barrier 15 ahead of Saturday’s feature, the widest gate in the field. Corstens said it was a disappointing result, but feels an inside draw could have posed more problems. 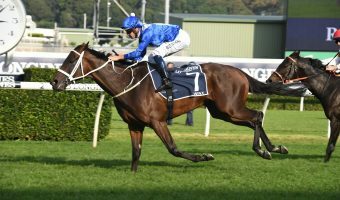 “It’s a 600m run to the first corner, he is a horse that had he drawn inside, he was a little bit tardy away at Flemington and he just got squeezed a bit, and it didn’t really suit him” Corstens went on to say. Stephen Baster once again gets the ride as the 44-year old champion jockey hopes to win his 15th Group 1 race. 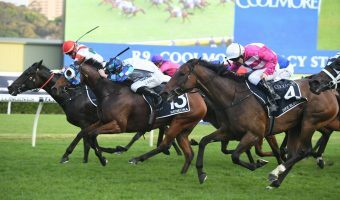 A victory would make it three from five starts this prep with Baster aboard, but even so, Corstens doesn’t intend to hang around in Perth. “We’ll run Saturday in the Winterbottom and then we’ll bring him home” Corstens added. As far as the Autumn goes, everything hinges on this weekend’s result. Runson currently sits on the third line of betting at $12.00 with Ladbrokes, while $2.80 favourite Viddora continues to firm after drawing barrier 5.